Looking for when is Bakrid (बकरीद) in 2014? If yes, you have come to the right place. Bakrid (बकरीद) in 2014 will be observed on Friday, 3rd October. 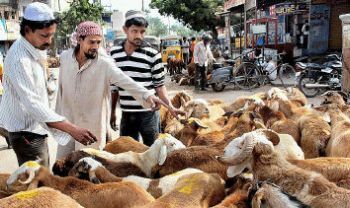 Bakrid (बकरीद) is amongst the two most important Eid celebrated in the world. One being Eid Ul Fitr and the other is Bakrid (बकरीद). 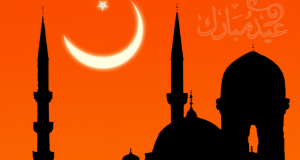 Bakrid (बकरीद) is usually observed in the month of September or October or November. However, Bakrid (बकरीद) in 2014 will begin in the evening of Friday, 3rd October and ends in the evening of Saturday, 4th October. Bakrid (बकरीद) is always on the same day of the Islamic calendar, the date on the Gregorian calendar varies from year to year. Bakrid (बकरीद) dates on Gregorian calendar drifts approximately 11 days earlier each year.